Halo rings are the height of style right now. 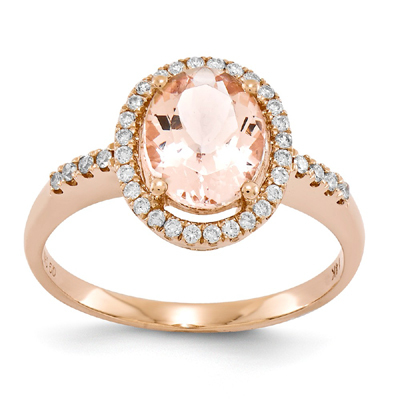 This beautiful morganite ring is no exception. The ring is set in 14k rose gold. The center oval stone is surrounded by 0.19 carats of white diamonds. We guarantee our 14K Rose Gold Morganite & Diamond Ring to be high quality, authentic jewelry, as described above.